As we're often busy on the ongoing kitchen and bathroom renovation jobs, we don't provide free onsite quotation. Our kitchen and bathroom showroom is open by appointment only. Our basic kitchen renovation costs from $10,000. Our basic bathroom renovation costs from $13,000. There is a $300 charge for the initial site visit. We don't provide any kitchen or bathroom repairing services. We don't supply any cheap laminate kitchen benchtops or doors. Please don't forget to email us photos of your existing kitchen or bathroom to obtain your FREE design and quote. More information about our kitchen and bathroom renovations Sydney Free Quote and 3D Design. Is black bathroom tapware here to stay? Here are the pros and cons. Let us know if you want the black bathroom tapware for your bathroom. 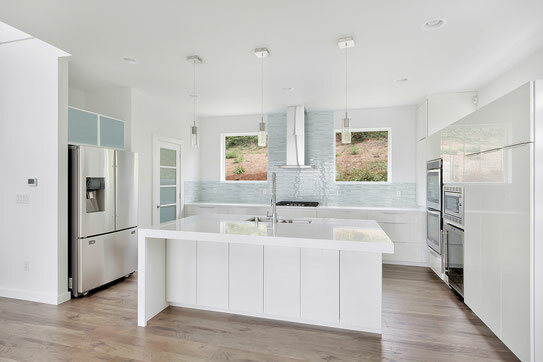 We design your modern kitchen or bathroom renovations to suit your style and budget. We demolish your kitchen or bathroom professionally, and with minimal mess. 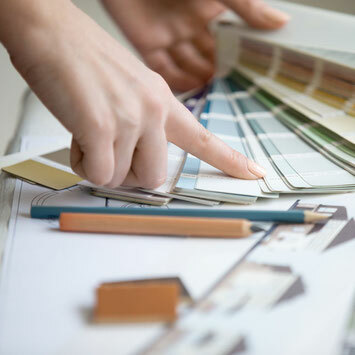 We provide your kitchen or bathroom renovations within the agreed fixed price and time-frames. We keep you updated with the home renovation progress, with minimal disruption to your life. We design modern kitchens with stone benchtops. We design stunning bathrooms with gorgeous styles. 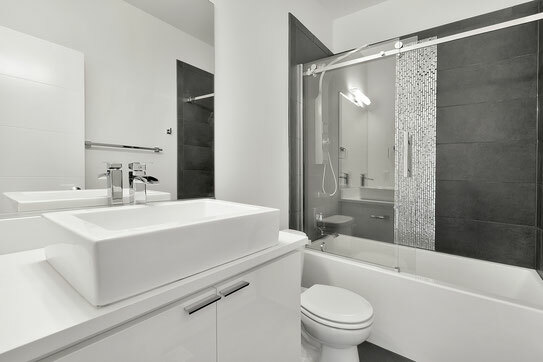 We design ensuites which will capture your hearts. We design homes with sensational remodeling ideas. We provide contemporary but practical design. We disconnect plumbing and electrical systems. We demolish kitchens and bathrooms cabinetry. We remove kitchens and bathrooms old fixtures. We remove wall and floor tiles, with minimal damage. We make remodeling as quick & smooth as possible. We supply and install kitchens cabinets & stone top. We build new bathroom floors, walls and ceilings. We provide professional tiling and waterproofing. We supply, install and connect appliances. We create many successful renovations true stories. We specialize in kitchen and bathroom renovations in Sydney. Our Sydney team help you through the entire kitchen or bathroom renovations process to ensure the lowest cost and highest quality kitchen, bathroom, ensuite and laundry, design and building solutions in Sydney. Contact us today for a free online Sydney home renovation design and quotation. Our Sydney kitchen design and renovation packages start at $10,000 + GST, including a comprehensive 3D design, top quality soft-closing cabinetry, expert installation, stunning stone bench tops and the latest Sydney kitchen sink and mixer. 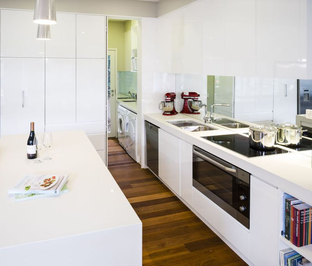 Contact us for a quote on your kitchen renovations in Sydney today. 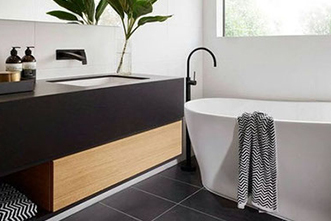 Sydney bathroom renovations starting at $13,000 + GST, our bathroom renovations packages include a comprehensive bathroom design, demolition, high quality Sydney bathroom vanity and tap-ware, professional tiling, luxury accessories, and beautiful bathroom renovations ceramics. To find out more about our bathroom renovations packages, get in touch today. 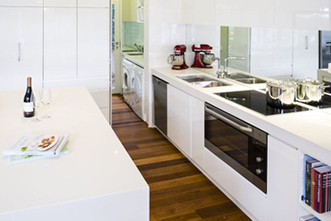 At Sydney Budget Kitchens and bathroom renovations, we carry a small but quality range of product samples for kitchen and bathroom renovations. At our West Ryde Sydney Showroom we can help you to choose between stone benchtops, kitchen cabinetry and bathroom renovations accessories to help you make the right decision about your home renovations. As we are extremely busy with ongoing kitchens and bathroom renovations projects, our kitchens & bathroom renovations showroom is open by appointments only. Contact us to book an appointment at our showroom, and we will be happy to go through our product range, providing a best kitchen or bathroom renovations solution to you. Check out our Past Project pages to view before and after photos of kitchens and bathroom renovations that we have completed around Sydney. See for yourself the amazing kitchen or bathroom renovations that start with a simple 3D online design! Then send through a photo of your kitchen or bathroom for a Sydney free online quote. Read client testimonials from all around Sydney and discover why Sydney Budget Kitchens and bathroom renovations are the top choice for quality customer service.